And you say Saint Louis, yes indeed till the lights go out, we like to scream it actually. 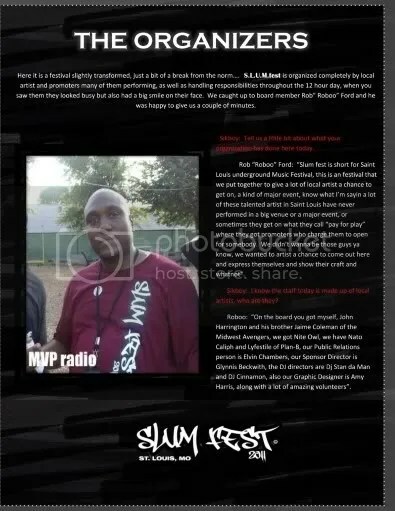 When I was asked by longtime friend and festival organizer/Midwest Avenger John Harrington to come down to SLUMfest and do some interviews, I was ecstatic. I quickly decided to make Issue 2 strictly dedicated to the festival. 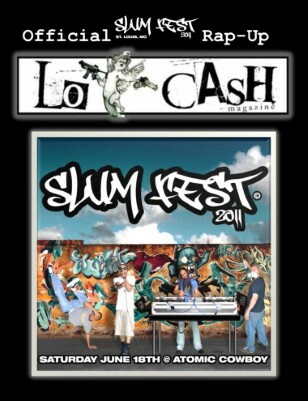 Seeing that the mission of the SLUMfest organization and the Locash Movement is one in the same, and that is simply to blow up the Saint Louis scene, It’s a perfect fit and we are happy to be affiliated. 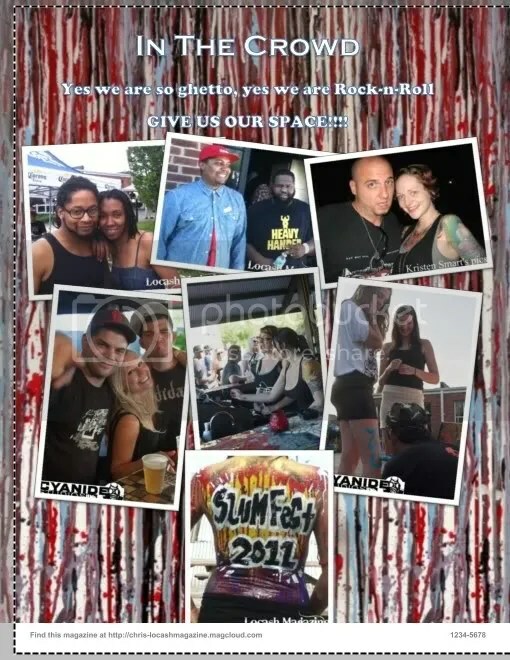 Without further delay we proudly present Issue 2 – The S.L.U.M.fest edition. This is a 28 page homage to Saint Louis talent in all forms, Complete with 3 exclusive interviews the first with festival organizer and promoter extraordinaire Robert “Roboo” Ford, the second with musical-social movement Red Zero and the third with The Force/Hawthorn Headhunters rock star Black Spade. We also cover the entire event from start to finish and everyone involved is covered from the Musicians and the B-boys to the Artist’s and Organizers and the most important part of any festival the crowd. When my partner and I (Scott Calhoun of Cyanide Studios) realized the scope of this years event we realized we were not going to be everywhere, we were also inspired by the unity vibe of the festival and with the Locash Movement being a collective concept, we thought how cool it would be to take photo submissions from the crowd and everyone could have the chance to be part of the magazine as well. We reached out to the deep talent poole of professional and amateur photographers in Saint Louis and the response was amazing and the finished product is even better. 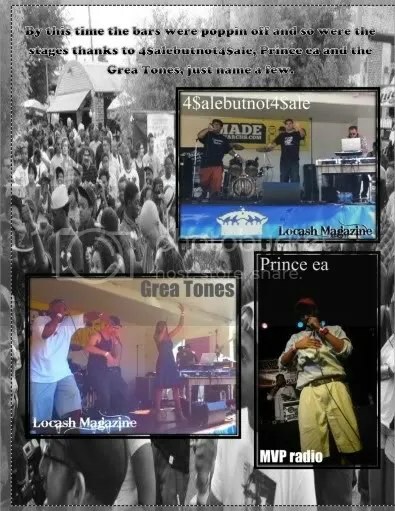 In this one publication we’re reppin not only ourselves but the S.L.U.Mfest organization all the performers and artists as well as the photographers and journalists that were there and even just the people taking pictures of their friends. 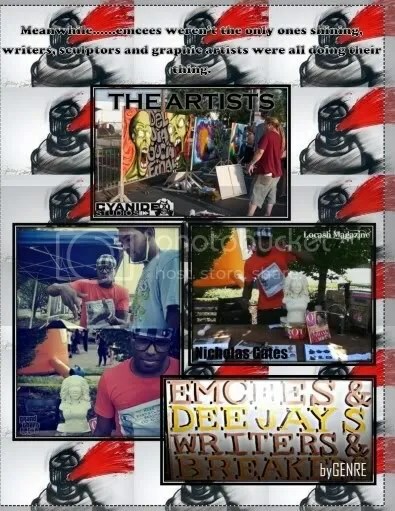 Supporting this publication is like supporting yourself it’s all one love, we just put in one place and gave it a name. You can order yours here in print for 5 bucks or digital download, but I suggest getting one you can hold in your hand’s and if your were there, you very well could be in it! if you were not there, you will feel like you were. Follow this link. Thank you Saint Louis, and here are some links to a few people who helped make this possible.